I can only imagine how touched my uncle would have been to see so many dear and familiar faces here today, to celebrate his life and mourn his tragic passing. No doubt many of you had your reservations about coming- I understand that Uncle’s singular personality rubbed some of you up the wrong way. In his defence I can only say that Uncle Vince was a character- a unique individual. I myself still have strong feelings about some of his habits, exploits, and ventures- the otter-cheese farm, the mandatory zipline to the downstairs toilet, bear boxing- I never supported any of these. Now that dear Uncle is gone, I shan’t worry about having to wear pink stockings after nine pm, eating only with spoons, or only turning anti-clockwise in the presence of women. We may never truly know how Uncle Vince passed away. 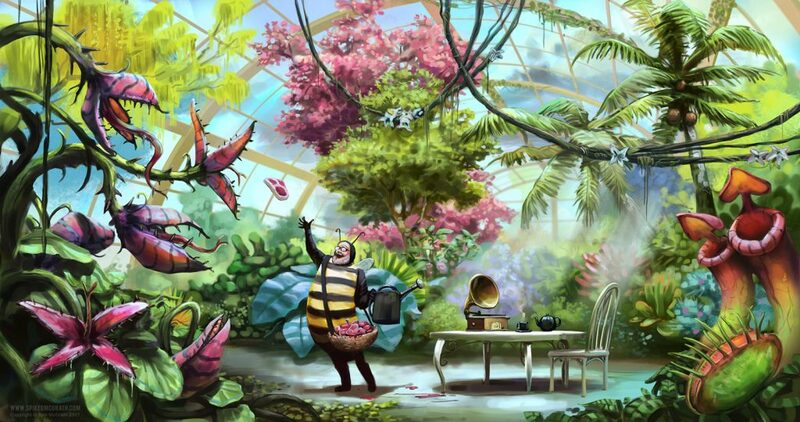 We may never know how he wandered into the locked greenhouse in the middle of the night, without his protective bee “disguise”, stark naked and with two lamb chops and a pork loin taped to his forehead. We may never know how he came to be so riotously drunk as to do that, despite being teetotal. All we can say is that he will be missed, and as the sole inheritor of his massive estate I feel it is my responsibility to thank you all for coming. Cheers. Now, who’s up for canapés?